I’ve noticed that a lot of bloggers do a monthly favourite post where they tell you about all the things that they have loved that month whether it’s beauty products they have used, an item of clothing they have worn, food that they have tried or places they have been and I love reading them as its meant that I’ve maybe bought something that they have liked due to their review on it or found out about a product that I’ve never heard of but its the new ‘must-have’ this season (yep, I am an advertiser’s dream!). So after feeling like a copycat inspired after these types of posts I’d thought I’d do my own and show you the things that I have been loving this month whether it’s something I’ve used, eaten or even a blog post I’ve enjoyed or a vlog that I’ve watched. 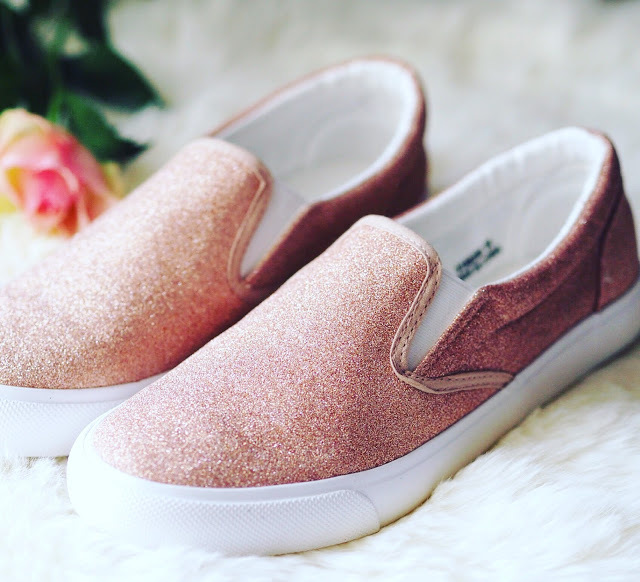 I’ve just recently bought these rose gold glittery numbers from New Look for Spring, aren’t they pretty? They are so comfy to wear and at £17.99 not expensive either. I will wear them with my cropped distressed jeans that I bought also from New Look in their January sale for £11.99 now that they fit me after losing some weight. 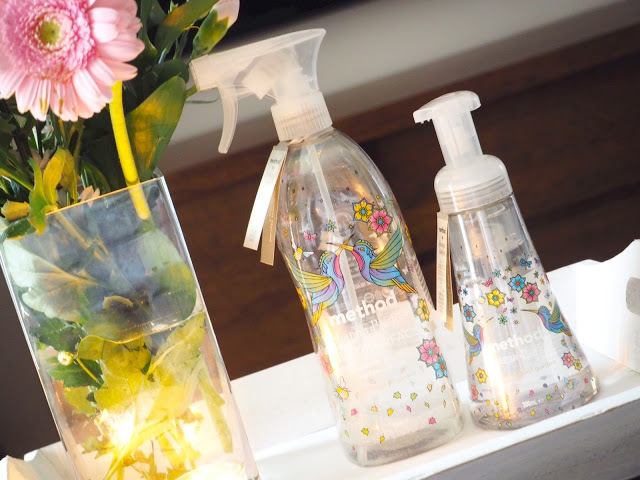 Yeah I know that they are cleaning products and it’s not exactly everyone’s choice of a favourite but with doing the Spring cleaning I have fallen in love with it’s floral scent as well as it’s pretty bottle that I also bought it in the liquid soap and I’m about to buy the washing up liquid too. Yes, I really am that sad that I like my cleaning products to look pretty but they are also cruelty free and eco friendly so that’s a plus in my book. 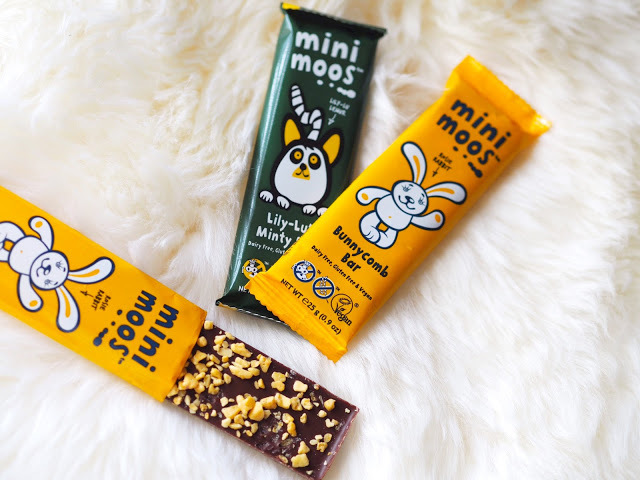 If you are vegan or dairy free like me then you have likely tried some nasty tasting chocolate in your time but I have just discovered Mini Moos and they taste ah-mazing. I picked up the Bunnycomb Bar which has broken bits of honeycomb on it and tastes like a deconstructed Crunchie and the Lily-Lu’s Minty Moo, a chocolate bar with minty pieces on it. They were £1 each in Sainsbury’s which for a 25g bar of chocolate is a bit on the pricey side but totally worth it for the taste. If you are following a Slimming World diet these are 6.5 syns and 7 syns respectively but I usually only eat 1-2 squares in a day and nibble them like a rabbit to savour the chocolatey taste, might look weird so I only do this in the comfort of my own home so I don’t get any strange looks from people. 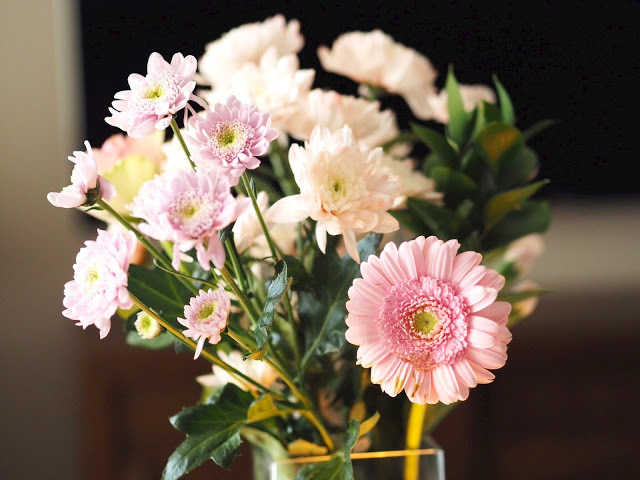 I’ve been buying fresh flowers every week recently for a couple of reasons; one that they look so pretty in your home and smell lovely when you walk past them and two that they make excellent photo props for my blog photos as who doesn’t love to see a few daffs or tulips in a photograph? 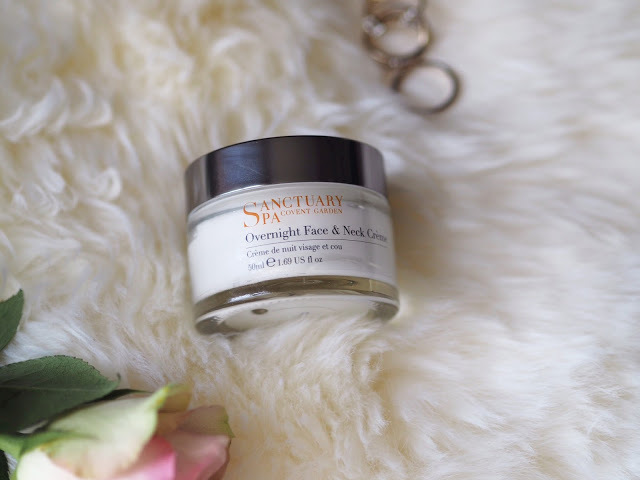 I am a huge Sanctuary Spa fan and bought this night cream last month and it really leaves your skin feeling soft and hydrated. It is more scented than some other creams that I have used in the past so although that might put some people off I actually quite like it as it smells like those products that beauty therapists use when you are in having a relaxing facial, I just need to find someone who is willing to apply it like that every night as that would send me to sleep in no time. "Five Things To Do This Weekend"